The government will today outline plans to link the entirety of the UK to superfast broadband by 2015, with Culture secretary Jeremy Hunt believing 85-90 per cent of the nation will soon have access. In a major speech, Hunt will speak about further investment in the UK's fibre optic network labelled "Britain's Superfast Broadband Future', which should mean that speeds of 50Mbps and up become the norm rather than the exception. The aim of the latest scheme is to have a comprehensive fibre optic backbone in place within five years which means that every community will at the very least have a fibre optic exchange near enough to facilitate faster speeds. This is known as fibre to the cabinet (FTTC), with the existing copper wiring still coping with taking and bringing data to and from the home. An extra £50 million (bringing a total of £830 million) will be made available for the improvements – although critics have suggested that this is well below the billion of investment needed to allow Britain to compete with other high-tech rivals. "Rolling out superfast broadband is probably the single most important thing we can do to ensure the sustainability of our rural communities in the 21st Century," explained Caroline Spelman, the secretary of state for environment, food and rural affairs. With IPTV likely to have a big 2011 and companies like Virgin Media and BT racing to upgrade their own fibre optic offerings, it is a critical twelve months for Britain's internet infrastructure. 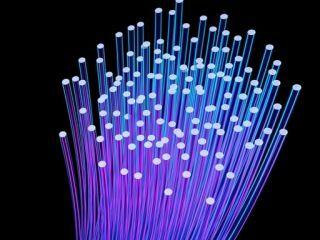 BT has confirmed that 1Gbps trials will start in Essex in the new year, and Virgin Media – the owners of Britain's most comprehensive fibre optic network – has launched widespread 100Mbps broadband. There are, however, still many who point out that BT's role in owning the network needs addressing, along with the manner in which other companies are granted access to it. But, for today, the Government is expected to commit to having the best broadband network in Europe within 5 years, which is encouraging to those who have suggested that good internet connections are the latter day equivalent to the railroads.